The retired mob boss’ arrest came after a photo of the diminutive criminal sitting around a checkers table found its way on a popular social media website. 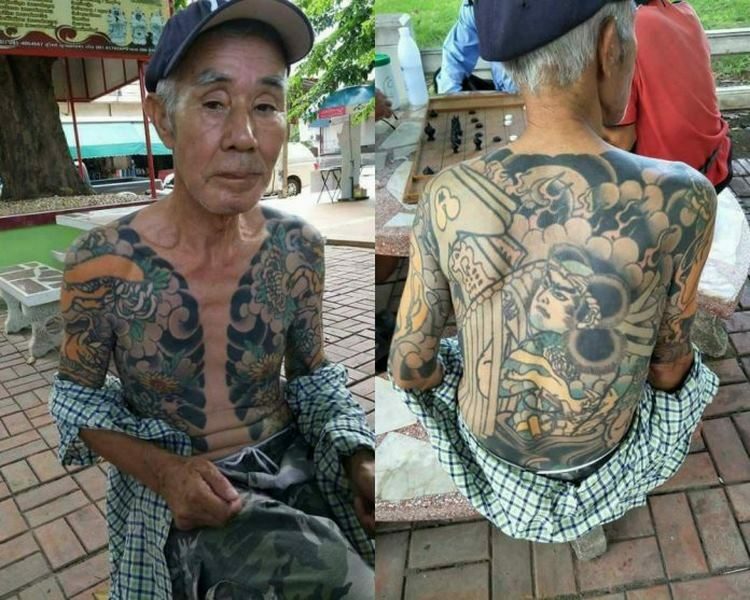 A Thai tattoo enthusiast who was impressed by the intricate tattoos covering most of Shirai’s body shared the photo on his Facebook page, where it accrued over 10,000 shares in just a short time. The image, which also happened to show Shirai’s missing pinky finger, quickly caught the attention of Japanese police who then alerted Thai authorities. Shirai will face illegal entry charges in Thailand as he has never held a visa, and will later be extradited to Japan, a Thai police statement said. “The suspect admitted he was the leader of the yakuza sub-gang Kodokai,” said a Thai police spokesman, Gen Wirachai Songmetta, referring to an affiliate of Japan’s largest yakuza gang, Yamaguchi-Gumi. “The suspect has not confessed to the murder but has admitted that the victim used to bully him,” she added. The yakuza emerged amidst the chaos of postwar Japan and quickly became a multibillion-dollar criminal organization involved in gambling, drugs, prostitution, and white-collar crime. They were considered a necessary evil at the time, as they were able to keep order on the streets. Unlike other organized crime groups such as the Italian mafia or Chinese triads, the yakuza are not illegal. Each group has headquarters, which are sometimes in full view of local police. 22 gangs were designated by authorities as organized crime groups in 2017, according to the National Police Agency, and their membership totals over 20,000. The majority belong to the Yamaguchi-Gumi and two other gangs, Sumiyoshi-Kai and Inagawa-kai. Alongside the traditional illegal drug sales and gambling, gangsters also earn money in construction, finance and security businesses.